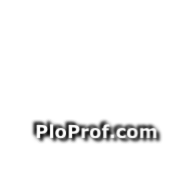 No text from this article can be reproduced without prior permission from DeskDivers As such all text on this page is protected by enforceable copyright. For centuries the watch making profession relied on intricate mechanical movements to supply the timekeeping for their wristwatches, but in the 1960’s that all changed with the introduction of electronic watch movements. In the mid 20th Century technology had advanced to allow the creation of smaller electronic components and more closely integrated electronic circuits, with the key enabling event being the demonstration of the first practical Transistor at Bell Labs in 1947. To compliment this, during the late 1950’s new battery technology was developed in the form of tiny button sized cells, that when powering small circuits would last a reasonable lifetime (circa. 1 year). The 1950’s and 1960’s was to be a boom time for electronics design and the wristwatch was an obvious choice in which to utilise this new small format technology. 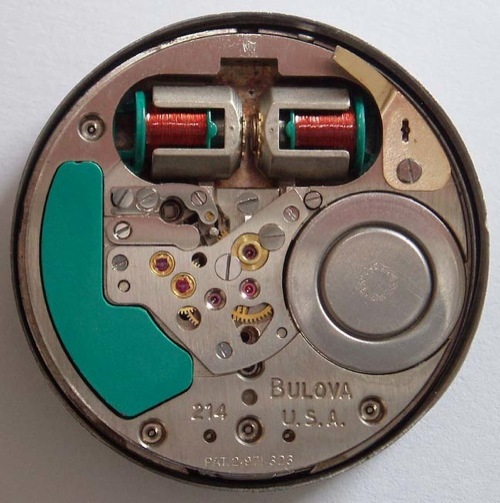 Like many electronic movements of the era, the 9162 was built using true watchmakers principles. The construction utilises brass plates, the gears are quality machined steel and glide on jewels. It would be easy to dispense with this movement by confusing it with more often encountered modern quartz movements made of plastic, but that would be a disservice. After 30+ years many of these movements are still giving their owners the same great service they did when new. 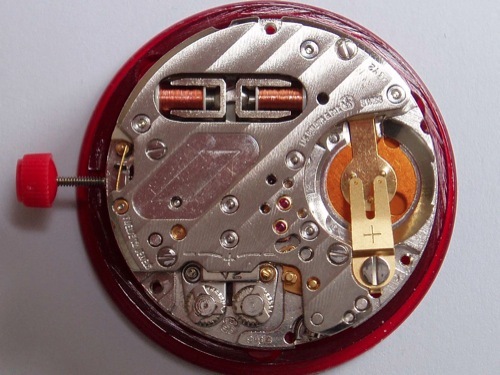 The first battery powered watches were simply a standard mechanical balance movement utilising an electromagnet to provide the movement’s power as opposed to the mainspring used in mechanical watches and are referred to as ‘electric’. These movements were a modern solution to the necessity of remembering to wind the watch daily, but were as such not a great advance in watch-making technology. The industry flirted with these movements for a number of years with various models and minor sales successes, but the watches were dogged with unreliability caused by spark erosion of the tiny balance driven contacts. 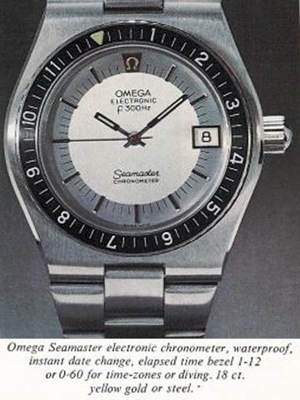 The Seamaster f300 (SMf300) discussed here was released in 1972 and is the ‘big daddy’ of the Omega f300 range. 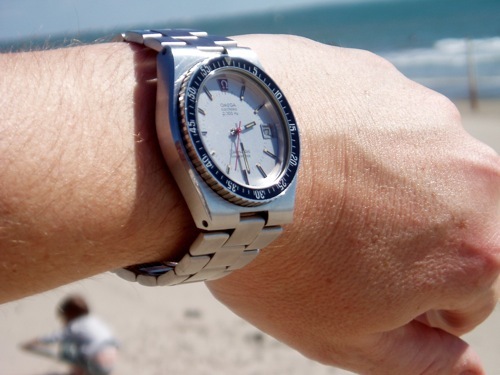 It is larger than all the other watches Omega fitted with the cal. 1250 movement. Whereas most vintage dive watches tend to err on the small side for modern tastes its size means it is very wearable today. The watch also utilises an innovative 2 piece high quality stainless steel case. This same design (but not the exact same case) would later feature for a short time on Seamaster models in the Cosmic 2000 range. Hertzel continued to refine his design until in 1969 he released the 9162 movement, to give it its official ESA (Ebauche Société Anonyme) nomenclature. 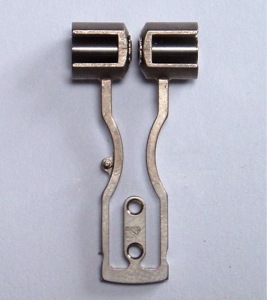 The 9162 is a typical ‘Hummer’ in that it utilises a tuning fork to provide both the timing and the movement’s motive power, however the 9162’s tuning fork is counter-balanced, and mounted, so that it vibrates around its centre as opposed to one end and is therefore immune to positional errors. This refinement earned the ESA 9162 it’s Chronometer rating and even today these movements can outperform the majority, and be matched only, by the best built and adjusted mechanical movements. It became obvious to all the watch manufacturers that the future lay in these highly accurate modern electronic movements. 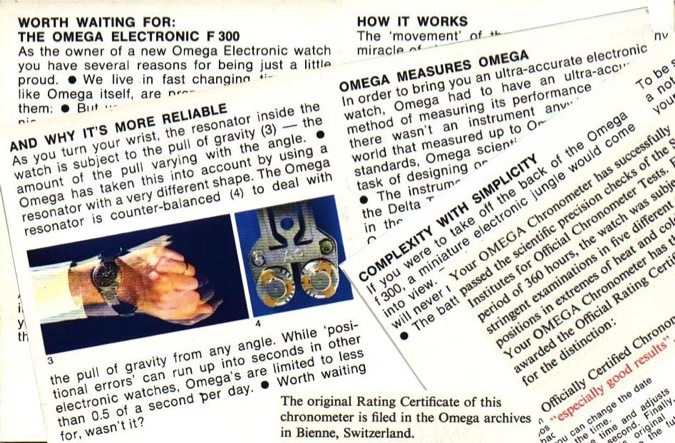 In order to keep up with the times, Omega (lacking their own in house experience of electronic movements) adopted ESA’s 9162 movement and re-badged it as their own calibre 1250 movement. 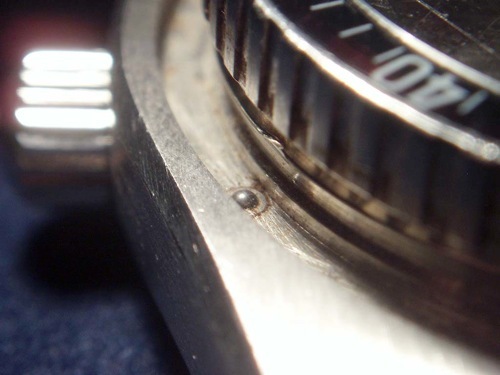 The bezel sits on the watchcase atop 3 sprung ball bearings. 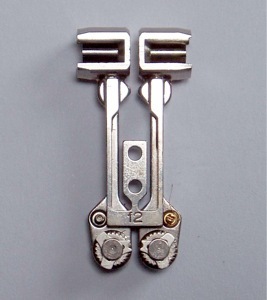 These provide a positive bi-directional ratchet action and smooth movement of the bezel whilst avoiding the wobble and sloppiness sometimes felt on lesser watches. Omega created a range of watches for this new movement that would be named ‘f300’ due to the 300hz frequency of the movement’s vibration. 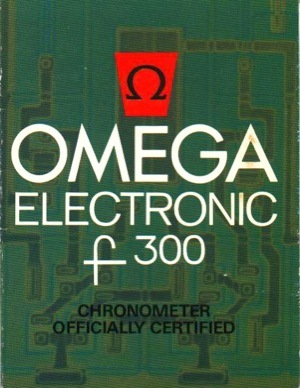 By the mid 1970’s Omega were at the forefront of oscillator based watch technology having advanced from the f300 through to the MegaQuartz line. Along the way upping the frequency from 300hz to 720khz using mechanical tuning forks and onwards from 32khz to 2.4Mhz with quartz. The move into the quartz revolution heralded the start of a tough time for the Swiss manufactures. After the initial years of excitement during the early 1980’s, they were fast facing extinction due to the importation of cheap mass produced battery powered watches from the new wave of technology competent Asian suppliers. However we are getting ahead of ourselves… all this was still to come when the watch we’re discussing in this article was released. The Omega f300’s are very much ‘hummers’. Holding any of the watches from the range to your ear, you can hear the 300Hz ‘hum’. One characteristic differentiates all hummers from watches with other movements and that is the continuous sweep motion of the second hand. It does not tick like a quartz watch and does not “rock sweep” like a mechanical watch, instead it glides around the dial and is often referred to as ‘captivating’ on first encounter. These watches keep excellent time and, as mentioned above, are easily tuned to keep time well within the limits of the official Chronometer rating of +/-8sec/day and in fact typically show an error of less than a few seconds per week. • First debut in 1969 as ESA 9162. • Tuning fork frequency 300hz. • Quick set date – bi directional. 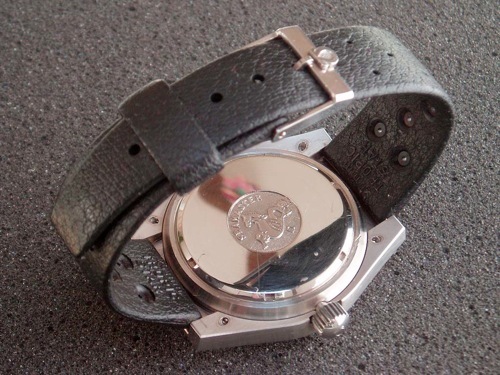 • inner case with Seamaster Hippocampus logo engraved screw down back. • Bezel: bi-directional countdown bezel (12hr bezel option). white Date display at 3 o'clock. • Lume: Tritium luminescent hands, hour markers and bezel. • Crystal: 3.6mm mineral glass. • Crown: ø6.45mm screwdown crown. • Movement - Tuning fork Omega cal. 1250. • Water resistance: 120 meters (400ft.). • Width (including crown): 46.2mm. • Weight: 136g with original bracelet. 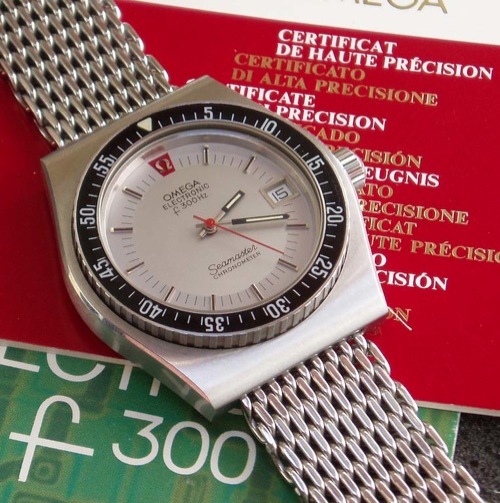 When it was first introduced the SMf300 Recommended Retail price exceeded almost all of the other Omega Seamaster watches in the range, including the Seamaster Plonger Professionnel 600m. In 1973 the US retail price for the SMf300 was $295 and the PloProf on an Isofrane strap was $287. Finally the true great first step forward for commercialisation of electronic watch technology came in the form of the Accutron 214, pioneered and designed by Max Hertzel at Bulova. 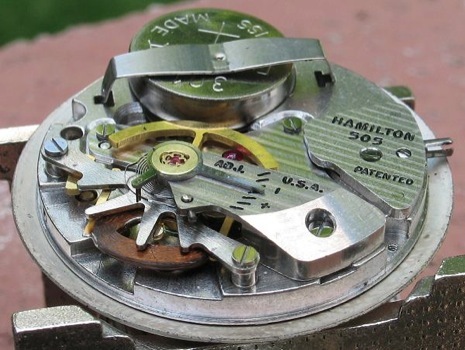 This was an enormous leap in the philosophy and technology of watch movements. Using a tuning fork to deliver the base frequency of the movement and also further utilising the tuning fork’s vibration to provide the motive power for the hands. 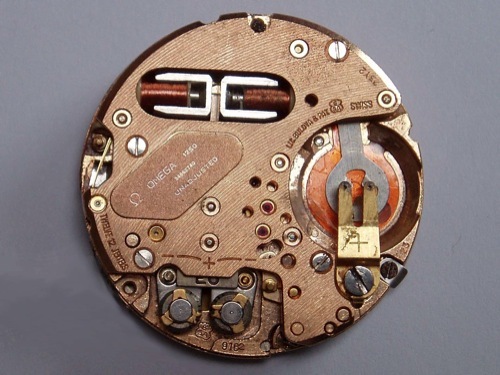 The next chapter in the birth of the electronic movement arrived with the addition of a diode to the electric watch circuit acting as a spark suppressor which improved contact life. This earned such movements the correct definition of ‘electronic’, however these movements were still based on the concept of upgrading the age old mechanical designs by retro fitting new technology piecemeal. The Accutron 214 is recognised as a fundamental advance in both accuracy and innovation in precision timekeeping, however Hertzel with his Electronic engineer’s background was disappointed with the Accutron’s unbalanced tuning fork, as it created the issue of positional accuracy. 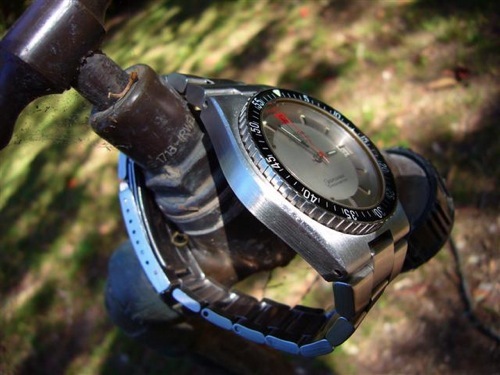 This issue came about due to the fork being fixed at its base and therefore being at the mercy of gravity when the watch is held vertically, either with 12’oclock up or down. The resulting subtle difference in balance of the tuning fork altered its frequency, changing the timekeeping by up to +/-5secs a day depending on position, this has no real effect when worn on the wrist, only when left on a nightstand etc. The bezel ‘insert’ is made of acrylic poured into a stainless steel bezel structure in the same manner as Omega’s other great Dive watches, the PloProf and SM300. Like those models, the luminous indices within the bezel insert make for one of the best luminous elements on any watch when viewing at night. 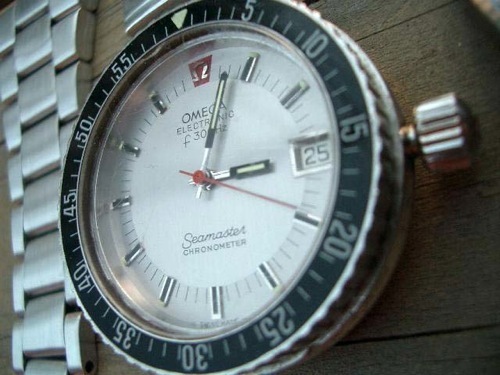 Sadly the luminous material on these bezels is most likely tritium and has long passed its half-life. Whilst the acrylic gives a deep black classy look and feel, it is not really the best choice of bezel material. A similarly designed 2 piece case was also available in the f300 range as the highly collectable ‘D’ case Constellation. 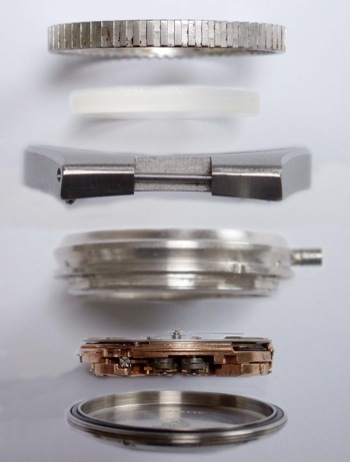 It is worth noting that the centre module on both the ‘D’ and the SMf300 are identical, save the crown and tube assembly (the SMf300 has a larger crown and tube and this coupled with the lack of space for the SMf300’s bezel means it will not retro fit the Constellation’s D shaped case). The common elements of these watches are evidence of a nod towards modular construction and cost cutting, in the move towards the quartz revolution. However this case design seems to have quickly been superseded which seems a shame as the concept appears sound. 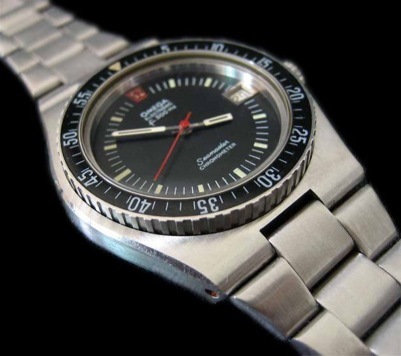 A bezel variant usually only seen in catalogues, is a 12 hour bezel which is rumoured to been a dealer fit option – They do exist and very occasionally come up for sale [please contact DeskDivers admin if you have one]. 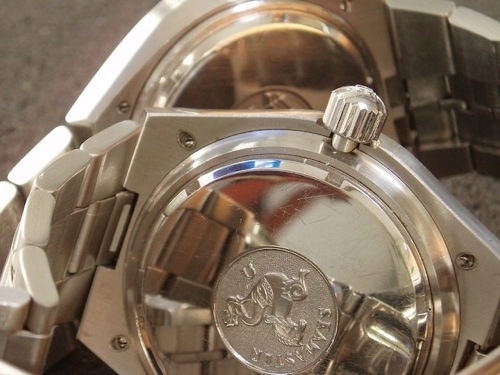 The SMf300 was supplied with a fitted Oyster style bracelet (ref. ST 1178/182) the solid 9.45mm wide endlinks being secured to the case with screw pins. This bracelet is a step up from the lightweight Flightmaster style bracelets Omega used in this era and has thicker links near the watchcase as well as tapering towards the clasp. The modern replacement bracelet is the 3004/182, which is sadly, a poor relation to the original. 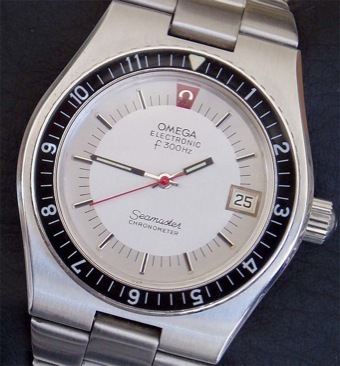 The dial of the SMf300 comes in at least four variants and it is not believed Omega made a blue or grey dialled SMf300. 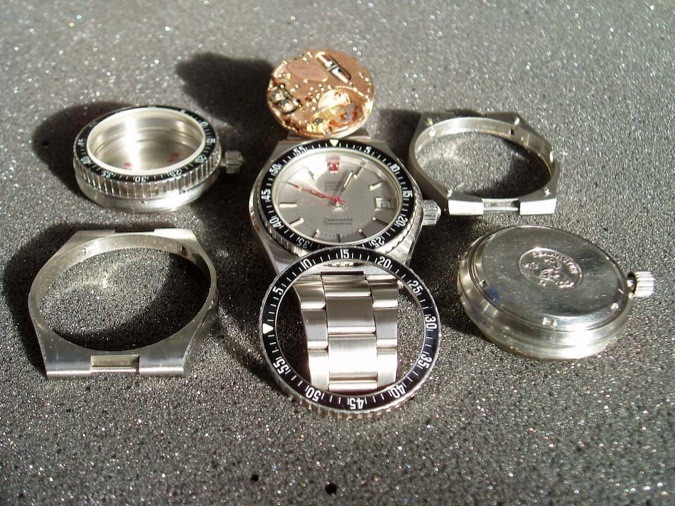 The most common dial is a two tone brushed silver dial. Slightly less common is a black dial. 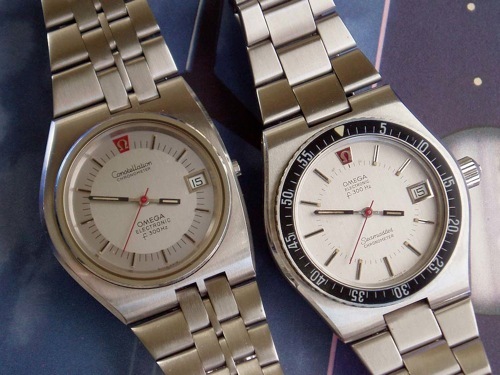 The two rarest dials being a one tone brushed silver dial and a silver dial with two tone silver Omega logo’s. 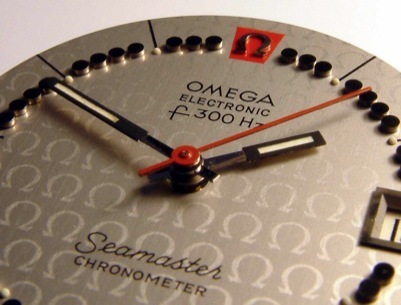 The logo dial was most likely produced to commemorate one of Omega's landmark anniversaries. All the SMf300 dial variants incorporate a raised red plinth with relief silver tone Omega logo at 12 o’clock. The hands incorporated on this watch are the classic Omega stick hands of the late 1970’s, which whilst more than adequate for the job of telling the time, aesthetically are often considered a little thin and short in comparison to the dial for today’s tastes. Omega used these hands on all models of the f300 range, perhaps indicating that the cal. 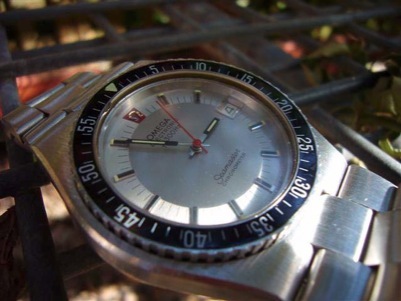 1250 could not be fitted with hands from other Omega movements. 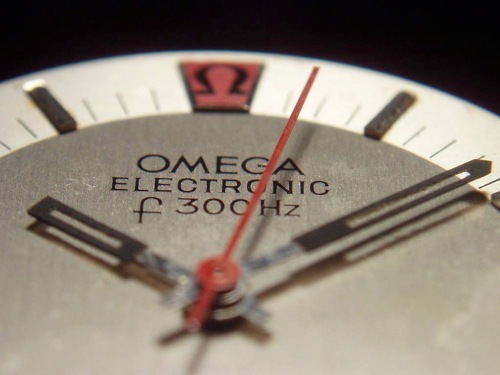 The second hand on the f300 is painted red to match the Omega logo on the dial at 12. A very rare version of the SMf300 was also available for use with a strap. The watch utilises the same modular construction as the more usual SMf300 yet its outer case has hidden 20mm lugs as opposed to the standard 9.7mm slot. 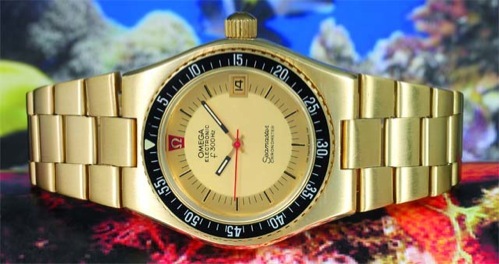 This watch was supplied on either an Omega Oyster style bracelet or an Omega signed Tropic strap. This strap version of the outer case allowed Omega to offer two versions of the modular SMf300 perhaps allowing the customer to choose between strap and bracelet at point of sale. 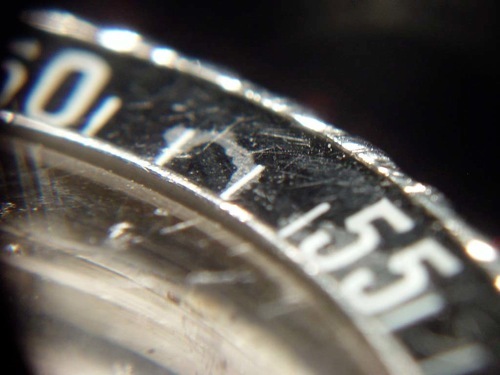 Everyday knocks and poor watchmaker’s attempts to lift the bezel in the wrong place with case knives can cause cracks and lifting of the acrylic into which water can penetrate. However, one bonus of acrylic is that scratches are easily polished out with products such as Polywatch. 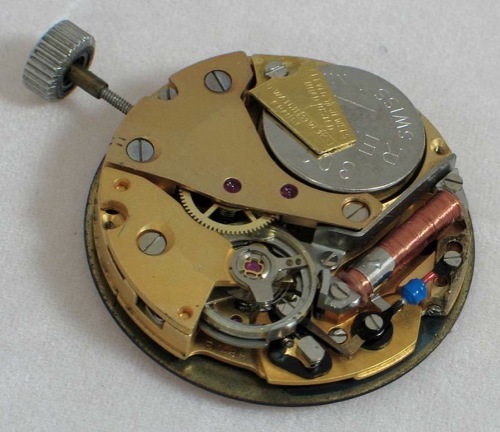 Although in the article we may seem quite dismissive of electric balance movements, they are in fact quite fascinating and comprehensive information on their history, design and operation can be found on the excellent Electric-Watches site. Many thanks to Electric-Watches for use of their movement Photos. According to contemporary catalogues the SMf300 was also available with a solid 18ct gold case. The only example seen for sale in recent times was Lot. 153 in the 2007 OmegaMania auction. Given the solid heft of the SS version, the weight of this model must be most impressive. 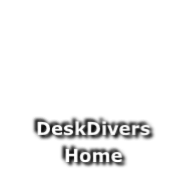 [please contact DeskDivers admin if you have one]. The 3.6mm thick mineral crystal is pressed into the case on an L shaped seal and, whilst not locked into place, it provides a reasonable amount of water resistance with the watch being given a 120m depth rating.